The 70-foot-tall structure will yield 11,400 square feet, with 940 square feet dedicated to ground floor retail use, and 6,700 square feet dedicated to residential use. The 10 apartments that are slated to be built will average 670 square feet apiece, indicating relatively affordable rentals. Tenants will have access to five bicycle parking spaces, a fitness center and a rooftop terrace. Tenants in apartments 2B and 6A will have access to private terraces. NDKazalas Architecture will be responsible for the design. Demolition permits have not been filed. The estimated completion date has not been announced. 4 Comments on "Permits Filed for 23-71 31st Street, Ditmars Steinway, Queens"
Please pardon me for using your space: No rude words to Andrew Nelson who reports. Thank you. 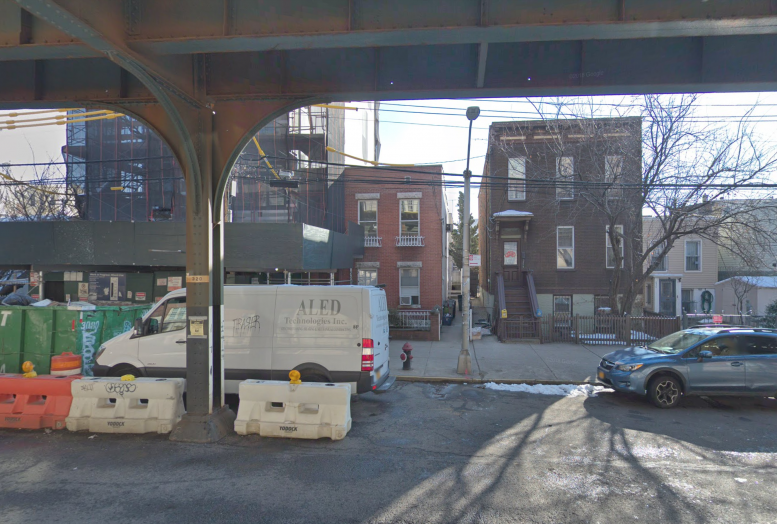 Living adjacent to a busy elevated line will make these apartments difficult to rent.